Sen. Chris Dodd can't seem to catch a break. 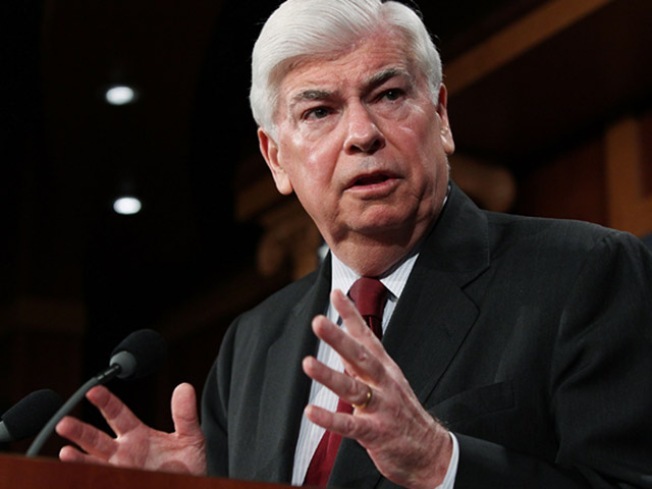 Sen. Chris Dodd made the Time 100 list, but it’s not the one anyone wants to be on. He’s among the magazine’s picks of the least influential people of 2010. The writer sarcastically admits that his list is not actually the least influential people: “My list is, technically, the Least Influential People Who Used to or Ought to Have Influence,” Joel Stein writes. The list includes ex-magazines, the president’s dog and Heidi and Spencer and it’s broken up into losers, flameouts, morons and slimy bastards. Dodd’s mentioned on the least of the worst – flameouts. “When they ran for President in 2008, Chris Dodd and Joe Biden were exactly equal in power: two domestically liberal, foreign-policy-conservative wonks who couldn't get a vote despite being well qualified. Now Biden is Veep, and Dodd will give up his Senate seat before he loses it because of some sweet deals he got from the banks he was overseeing,” Time says.